Who are these tracking companies? Meet AdRoll. AdRoll is a popular and fast-growing ad network specializing in helping other advertisers (over 5,000 of them) “re-target” you. This means they help bring you ads related to things you’ve shopped for before. Whether you prefer to call them more relevant ads or ads that follow you around, AdRoll is at the cutting edge of this kind of targeted advertising technology today. When you visit a website that works with AdRoll (Facebook or elsewhere), they install a tracker on your computer. If you navigate away from that website without buying anything, AdRoll will serve ads to you for that website, over and over again, in the hopes that you’ll return to that website and finally buy something. Additionally, AdRoll is currently very active within Facebook’s new advertising exchange, which allows advertisers to learn about you and what you do online while you browse from Facebook. Basically, whenever you login to Facebook, the Facebook cookie on your computer can help AdRoll know about what links and ads you clicked through. 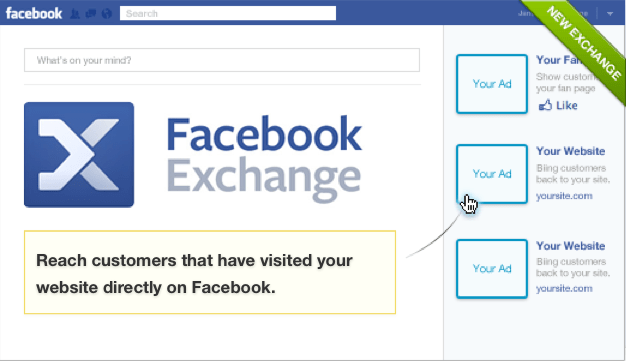 They then work with other advertisers to target ads relevant to you when you visit other websites outside of Facebook. What could AdRoll offer that could be useful to me? AdRoll’s primary goal is to keep an online store you’ve visited in mind while you’re still browsing around and potentially shopping for the same item at other sites. These stores sometimes offer special deals to shoppers to convince them to to return and make a purchase. AdRoll enables those companies to present those offers to shoppers via the persistent ads that you see while you browse…but at the expense of AdRoll tracking where you’ve browsed and the potential annoyance of many of the same ads being shown to you over and over again. Is there anything a user can do to prevent this type of invasion of privacy? Chris, I have the Firefox “Do Not Track Me” but they still get through. Only “Blur” effectively BLOCKS them! I’m kind of skeptical about these tracking companies. When you visit a website with an ad targeting system you should be able to choose whether or not you allow them to track your data on that website. Isn’t there a law or act against this? I still think it’s a good idea but they should get your permission first. No law- let the buyer beware! Hey but how does the money get inside !